If your New Year’s resolution is to spend more time in the garden this year, here are five investments that will help you to create a fabulous, functional outdoor space. High quality, garden furniture is a great investment especially if you want to create a social space in the summer months. Many people don’t want to splash out on a garden furniture set that will only grace their garden for a few months in summer, so investing in Rattan furniture from somewhere like Shackletons ensures you can enjoy it all year round. Rattan is designed to withstand all weather conditions which prevents you from having to store it inside throughout the winter season. Lighting can change the dynamic of your garden in an instant and transform a dull outdoor space into something charming. Lighting not only adds a welcoming feel to your garden but it also is a functional addition as it allows you to socialise with friends and enjoy your garden once night falls. Metallic lanterns, spotlights and fairy lights are just a few of the possibilities. Planting flowers in your garden is labour intensive but the outcome is very rewarding. Having a range of different flowers in your garden allows you to create different textures that can really bring your garden to life. Combining different plants can add drama to your outdoor space and make it more attractive. Like the rest of your home, a garden requires sufficient storage. In the winter months, your garden can easily become a dumping ground for the things that you don’t use and a garden shed can provide a solution to this. A garden shed is a welcome addition to every home and it can be used to store everything from garden tools and sun loungers to children’s toys and other odds and ends. Investment pieces aren’t cheap but they are designed to stand the test of time. Water features are no exception as while you will have to splash out initially, you will get years of enjoyment out of your investment. 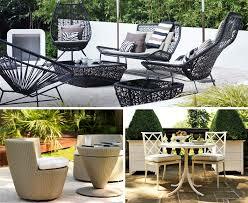 You can choose a design that is discreet or dramatic depending on the size of your garden. Pinterest is brimming with water feature ideas should you need a little inspiration.